The anti-valentine printables are now on Etsy here. They are instantly downloadable files! 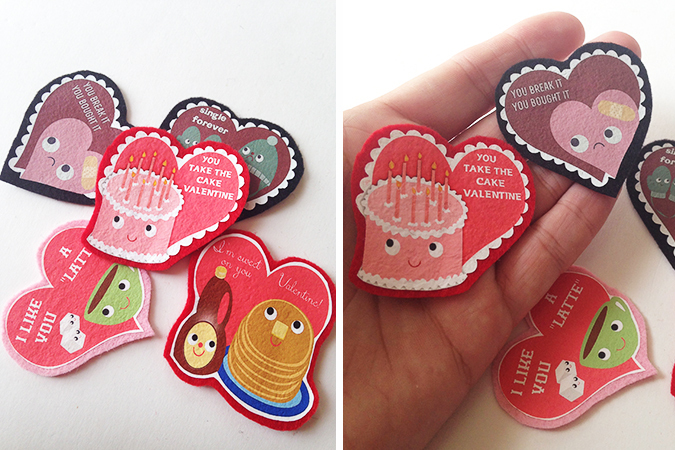 I also made a few little things to show you what else you can do with the Valentines. 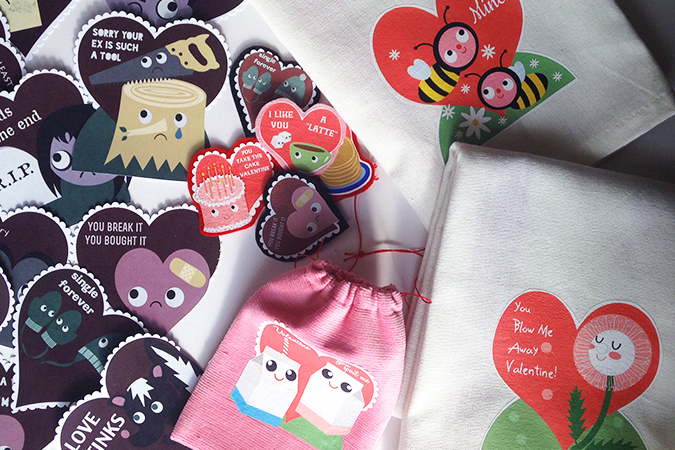 I like to print mine out on iron on paper, and I made a few dishtowels, made the images smaller and made some Valentine pin-backs, and goodie bags. You could also make a felt garland you could use year after year with the same technique. I hope the ideas inspire you! Tagged DIY, my work, valentine. Bookmark the permalink. Oh! The garland is a really cute idea! I like the towels, too. 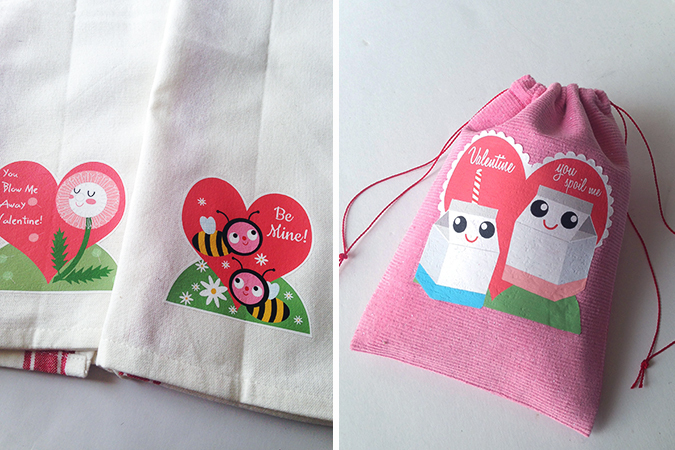 I love the gift bags – what a cute idea!